Jason Bateman and Rachel McAdams star as Max and Annie, whose weekly couples game night gets kicked up a notch when Max’s charismatic brother, Brooks (Kyle Chandler), arranges a murder mystery party, complete with fake thugs and faux federal agents. So when Brooks gets kidnapped, it’s all part of the game…right? But as the six uber-competitive gamers set out to solve the case and win, they begin to discover that neither this “game”—nor Brooks—are what they seem to be. Over the course of one chaotic night, the friends find themselves increasingly in over their heads as each twist leads to another unexpected turn. 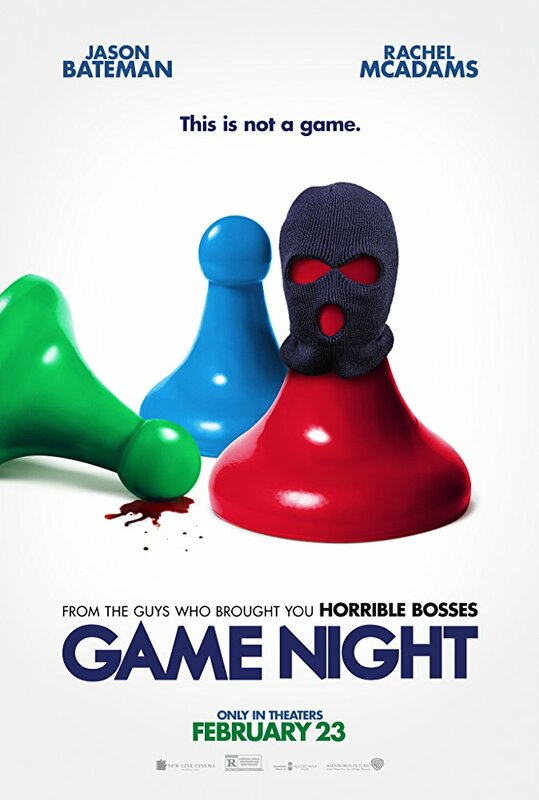 With no rules, no points, and no idea who all the players are, this could turn out to be the most fun they’ve ever had…or game over. Joining Bateman, McAdams and Chandler in the cast are Billy Magnussen, Sharon Horgan, Lamorne Morris, Kylie Bunbury, Jesse Plemons, Danny Huston, Chelsea Peretti and Michael C. Hall.